Any books with queer parents? I’m hoping for some that don’t end in super sadness like Fun Home. Diana, a friend, is new queer parent herself, so it makes total sense that she’s looking to find some likeminded characters in books! And I bet she’s not alone in craving them. Whether you’re a queer parent already or you’re planning to be one in the future, it’s crucial to have (non-)fictional counterparts to be able to identify with. Just to be clear: my understanding of Diana’s question is that she wants books aimed at adults, not kids (for those, check out these middle grade books with LGBTQ characters). I haven’t included books that focus on queer people’s initial processes of getting pregnant, starting a family, etc. (If you’re interested in either of those topics for a future list, let me know!). So this list contains adult and YA books, some fiction and some non-fiction, all featuring adult humans who are both queer and parents. They also don’t have super sad endings like Fun Home. Got a favorite? Let me know in the comments! 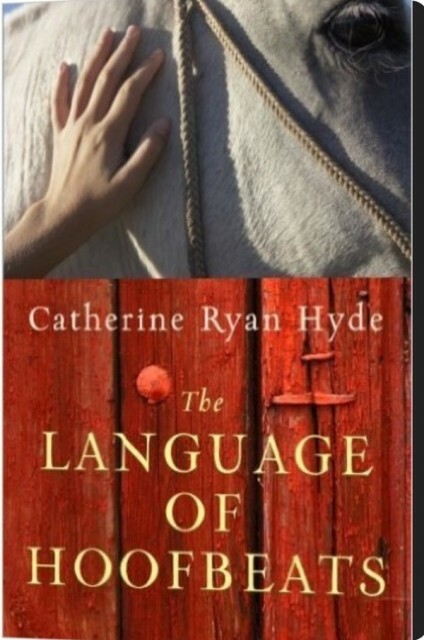 The person who recommended The Language of Hoofbeats to me called it “The Fosters with horses,” which is a pretty accurate description. Jackie and Paula are a lesbian couple who have just moved to a small town with their three children: an eight-year-old son who’s adopted and two teen foster kids. Star, at 15, is distant, still reeling from the trauma she experienced before joining their family. Although the family is thrilled to be in the quiet countryside, their new neighbor Clementine, dealing with her own past trauma, is not happy about their arrival. Clem disapproves of Jackie and Paula’s “lifestyle” and is especially irate that Star bonds with her horse Comet, who Clem has been neglecting. When Star takes off riding Comet, the three women are forced to work together to facilitate their return. Told alternately from Jackie and Clem’s perspectives, this novel is a feel-good story about forgiveness and healing. It has a happy ending, but perhaps not the one you would expect. 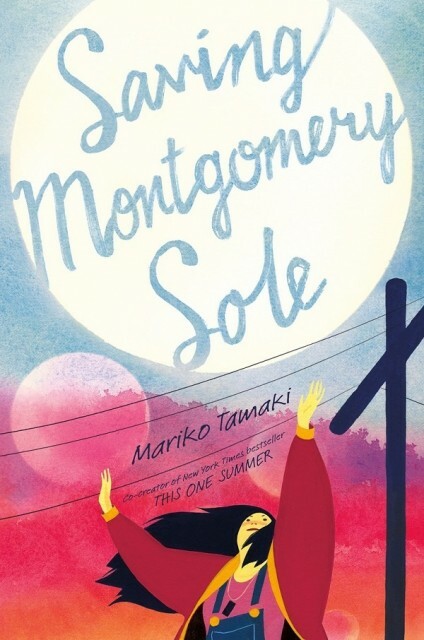 Mariko Tamaki is a prolific (queer YA) writer with an impeccable ear for teen dialogue and Saving Montgomery Sole is exemplary of her talents. Monty is a 16-year-old outsider who lives in small-town California with her two moms and younger sister. Things aren’t the greatest for Monty: she’s peeved about the homophobic bullying her moms and her gay friend Thomas have to put up with and she’s obsessed with weirdo occult things, which doesn’t exactly make her Ms. Popular. When she buys a mysterious crystal amulet called the “Eye of Know” off the internet and it seems to have the power to cause bad things to happen to bullies, Monty is freaked out. But she’s also hopeful it will help her get even with a new kid at school, the son of a famous televangelist preacher. As righteous as Monty’s anger is, though, she’s going to have to confront her simplistic ideas, like that all religion is evil. What’s really remarkable about this book, amidst a sea of YA with terrible and/or completely absent parents, is the positive presence Monty’s moms have in her life. It’s especially apt for a book that investigates the joys and difficulties of being a kid with queer parents. 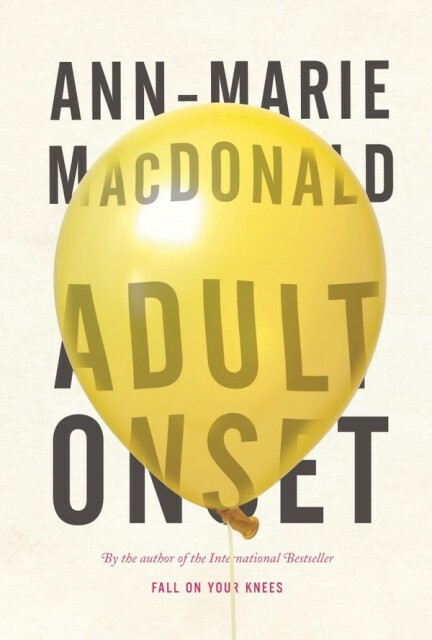 Well known for her (queer) historical fiction, Ann-Marie MacDonald turns her eye to contemporary queer middle-class Toronto in Adult Onset. Mary-Rose MacKinnon, aka MR or “Mister,” is a semi-retired successful author in her forties who has two young children with her partner Hilary. Because Hilary’s a busy theatre director often away for business, it’s up to MR to do most of the parenting and domestic duties, which she tries to balance with creative pursuits. The novel follows MR over the course of a single week, as the crushing weight of solo, stay-at-home motherhood leads to her slow disintegration: a kind of lesbian version of Charlotte Perkins Gilman’s “The Yellow Wallpaper.” Accompanying the boredom, claustrophobia, and insomnia of being a mother to two kids under five is the resurgence of physical symptoms from a long-ago forgotten childhood disease which makes MR question the memories of her past, complicating her already complicated present-day relationship with her parents and brother. In this classic queer YA first published in 1995, Jacqueline Woodson investigates a mother’s coming out from the perspective of her son. 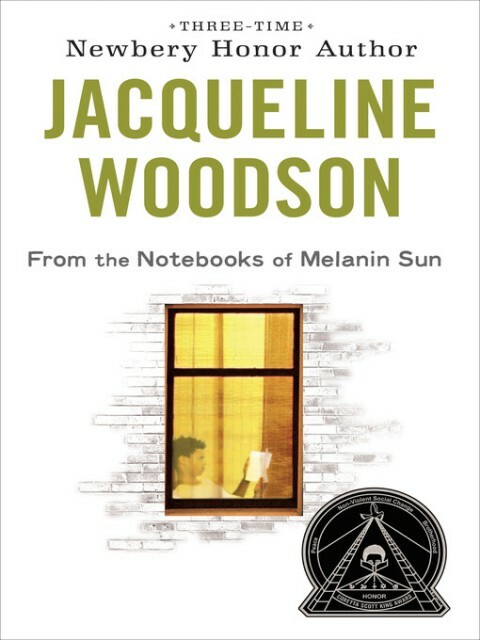 Written in Woodson’s trademark understated, dreamy style, From the Notebooks of Melanin Sun is told through the journals of 13-year-old Melanin. 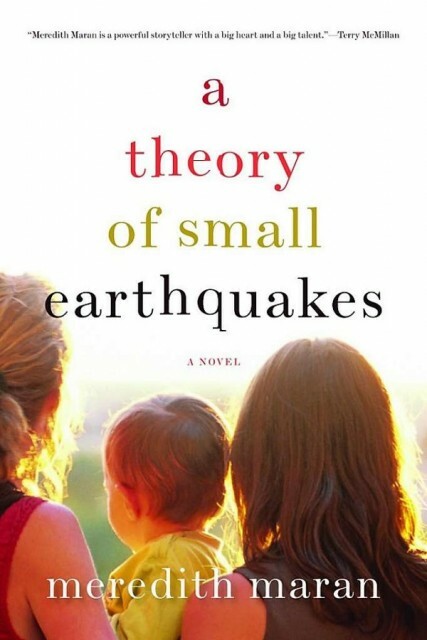 The novel strikes a delicate balance, making the reader empathize with Mel’s struggle to accept the radical re-shaping of his understanding of his single mom, while also ensuring that you can relate to the difficulty of her journey too. Woodson approaches the topic with grace and complexity, allowing Melanin’s journey to unfold naturally, including awkwardness and conflict. Mel struggles to overcome prejudices he didn’t even know he had and that he suddenly realizes are all around him. There’s also a lot of frank talk about race as well as sexuality: Mel is perhaps equally bothered by the fact that his mom’s new partner is white as well as a woman. In typical Woodson style, she leaves the narrative hopeful but not completely resolved at the end. Looking for a feel-good YA that has queer moms and and queer teens? 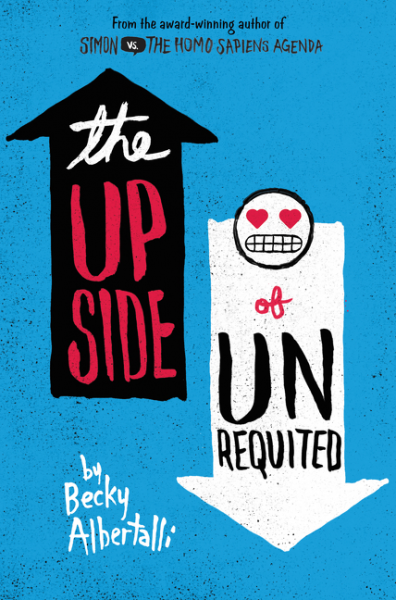 Say hello to The Upside of Unrequited, an unabashedly fluffy, adorable story about, well, love. 17-year-old Molly is the (straight) narrator, who has quite an interesting story in her own right even if you’re here for the queers: she’s the queen of unrequited crushes, which she has often and intensely, but always in secret. Her cynical lesbian twin sister Cassie’s new pansexual girlfriend, though, comes with a cute hipster boy BFF named Will who just might be material for Molly’s first real boyfriend, if she can get over her shyness and banish her internalized fatphobia. Since Cassie has been ignoring her since falling in love, Molly figures dating Will could get her her first kiss and get her twin back. Along the ride to support Cassie and Molly are their delightful moms — one is bi and the other is a lesbian — who are happily married and at the center of a great family dynamic. In addition to the nice spectrum of queer women represented, this novel also features multiple Asian American and Jewish characters! Decades later, the mariachi lyrics her mother sang have a new resonance for Castillo, as she examines her son’s difficult adulthood and eventual incarceration. 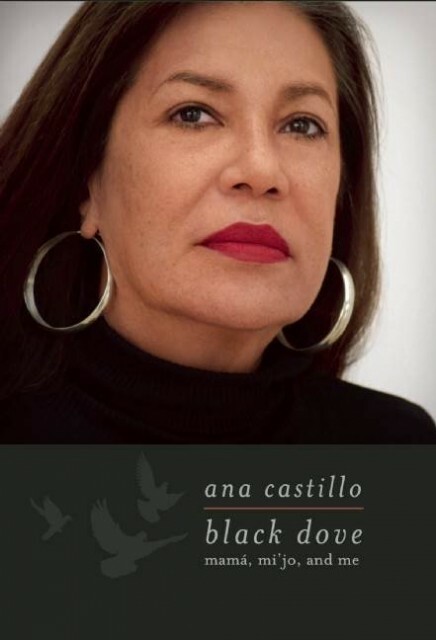 It’s a terrible nightmare: at once an individual tragedy and a not-uncommon result of the ruthless combination of police brutality, racism, and a massive for-profit prison system in the United States that targets families like Castillo’s. Throughout the book she boldly and fearlessly describes about what it is to be a queer, brown, feminist woman in America who is single mother. She dedicates one chapter in particular to exploring her bisexuality and polyamory, as well as chronicling her childhood in Chicago and the journey that led to her feminist values in early sections. Tired of only men getting to be complex, enthralling, unlikable characters? Queer nonfiction writer Meredith Maran’s first novel is a beautiful antidote. Alison is the bisexual main character, whose story begins in the early 80s, where she meets Zoe in her women’s studies class. Years into their partnership, though, small cracks are beginning to show. Alison feels disconnected from the queer feminist community in Berkeley — lovingly depicted, by the way, from the 80s to the early 2000s — where her androgynous partner is at home. She doesn’t know how to deal with either her internalized bi/homophobia or femme invisibility. When Alison becomes pregnant, it’s enough to push her out of her relationship with Zoe into one with her cis male co-worker Mark. What she doesn’t tell either of them is that she’s not sure whether it was her one-night stand with Mark or her and Zoe’s fertility treatments that resulted in her pregnancy. Initially raising her son with Mark, Alison ends up turning to Zoe when the demands of career and motherhood combined become too much. Can the three of them form a family? What will become of Alison’s giant secret? See the full Autostraddle review here. 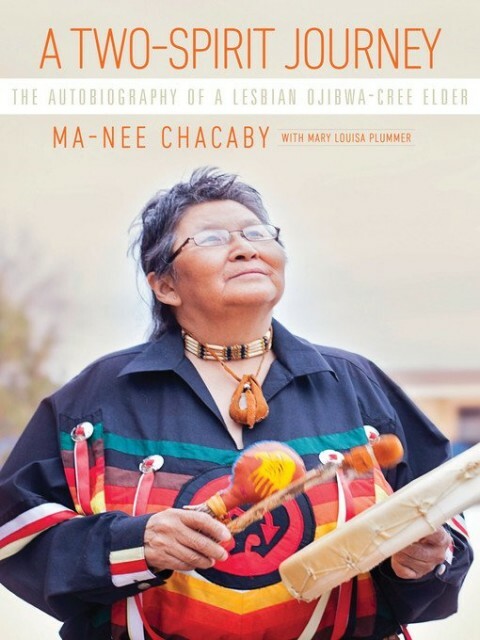 An autobiography at once completely devastating and remarkably uplifting, A Two-Spirit Journey follows the life of Ma-Nee Chacaby from her childhood to her current life as an elder. Chacaby grew up in a remote Ojibwa community weighed down by poverty and alcoholism, where she learned Cree spiritual and cultural traditions and Ojibwa bush survival skills. But she also endured physical and sexual abuse, becoming an alcoholic as a teen. In adulthood, Chacaby worked her way towards healing, while still dealing with the nefarious, ubiquitous legacies of colonialism. A large part of her journey includes raising her biological children and fostering many others, as well as getting sober, becoming accustomed to living with a vision disability, and coming out as a lesbian. A Two-Spirit Journey an incredible story of an incredible life grounded in resilience, faith, and strength, as well as a little humor. It’s a real gift that Chacaby has shared her powerful story, especially for younger two-spirit generations, as well as queer settlers who want to learn about the intersections of colonization, racism, and homophobia. Don’t forget to keep sending me queer book requests to stepaniukcasey [at] gmail [dot] com or tweet @canlesbrarian. No question is too weird or too specific! And if you have any books with characters who are queer parents to recommend, add them in the comments! Thanks for filling my fall reading list with so many great titles! Can’t wait to dive in. I love Ann-Marie MacDonald so much that I wrote my Masters dissertation on her books and plays. Adult Onset has been on my wishlist for a while, but I haven’t gotten around to buying it yet. I love FALL ON YOUR KNEES by Ann Marie MacDonald too! A beautiful but devastating book. Fall on Your Knees is my favorite book of all time! When I first got it I probably read it in 2 days because I just couldn’t stop. The Way the Crow Flies is also brilliant and the real life story behind the fictional story is interesting, too. Does THE WAY THE CROW FLIES have queer content? I’ve tried to research and couldn’t find info one way or the other. Technically, yes, since the main character, Madeleine, grows up to be a lesbian. But it’s mostly about her childhood, so while not explicitly queer, she is a little tomboy. It’s also about sexual assault and murder, though, so not the happiest of books. Fall On Your Knees is also one of my favourite books of all time! And I loved The Way The Crow Flies. I have to say, given how much I adored both of those, I was disappointed by Adult Onset. It isn’t a bad book in its own right, but in my opinion it pales in comparison to her other writing. Does the Language of Hoofbeats plot not sound like an alternate universe Felicity (the American Girl)? No? Just me?